More than 170,000 Victorians jammed Melbourne’s CBD to demand workers get their fair share recently. ASU Branch Secretary Lisa Darmanin said “We’ve never been more united or stronger as a union. The system is broken, the game is rigged and we are fighting to change the rules for Australian workers. Thousands of ASU members attended from across all of our industries. 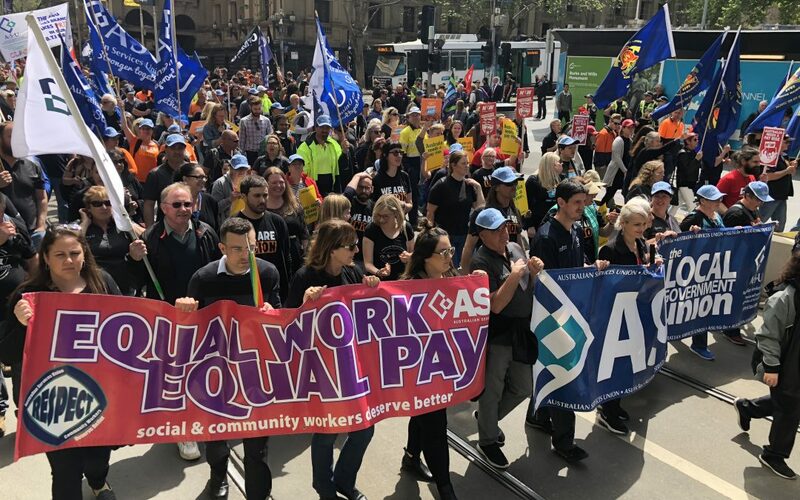 While union members receive pay and conditions much better than non-union employees, employers and corporate Australia have been the biggest beneficiaries of Australia’s economic prosperity. Wage growth is at historic lows, while company profits are at historic high. The Banking Royal Commission has exposed many examples of corporate greed. “It’s time to get back to times when a decent day’s work earned a decent wage, and where you could rely on a permanent job” Ms Darmanin said. See how ASU members helped Change the Rules here.